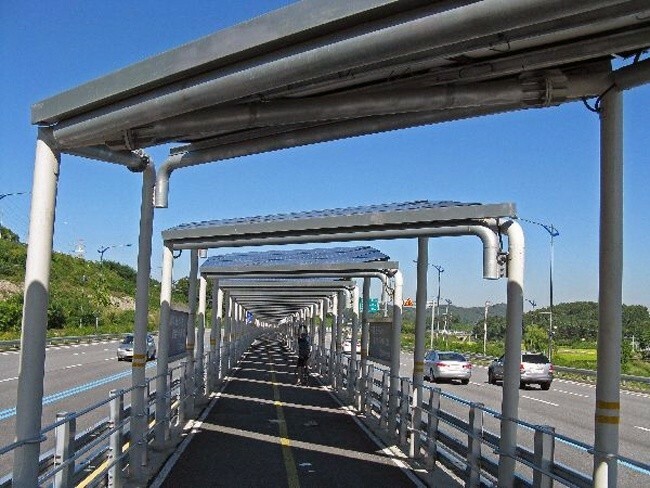 South Korea has a solar bike highway, designed to generate power from the sun while also shielding cyclists from it. 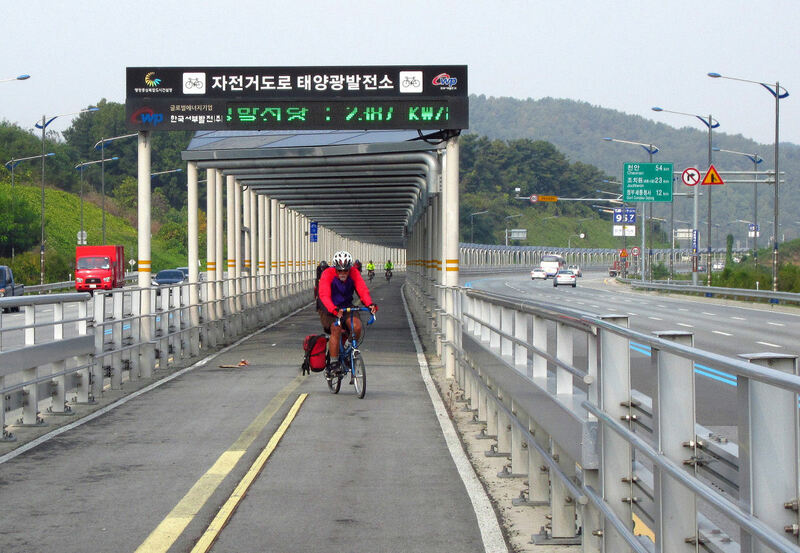 The solar bike road runs between Daejeon and Sejong, a distance of about 20 miles. The two-way bike lane runs between the two cities and is erected in the middle of a regular highway, having three lanes of traffic on either side of it. Barriers along the side of the structure block the view of the surrounding road, and shield the cyclists a little but this means having nothing much to look at for 20 miles. The solar bike path can be accessed by underground tunnels. There are certain points within the path that allow access to the underground tunnel system so that cyclists can get on and off the bikeway without having to cross lanes of traffic. The solar panels themselves collect more than enough energy to power both the lighting system for the highway and a series of charge stations for electric vehicles, according to América Economía. The Daejeon-Sejong bike path is definitely not the first solar road to be made, however, it remains one of the most ambitious projects seen to date. Other countries are also experimenting with solar road options, such as the SolaRoad in the Netherlands, where the sections of the road itself have been replaced by solar panels which power lights in the surrounding neighborhoods.